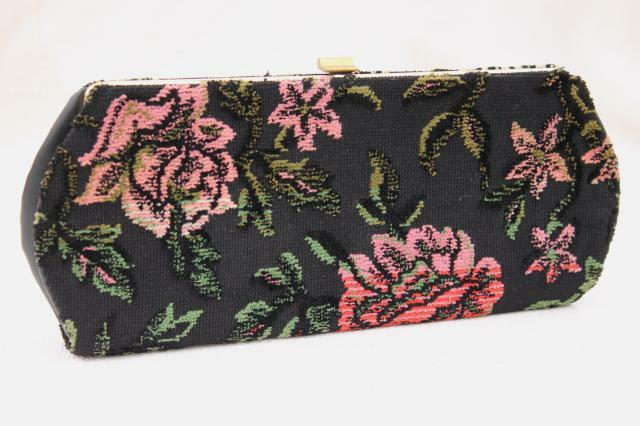 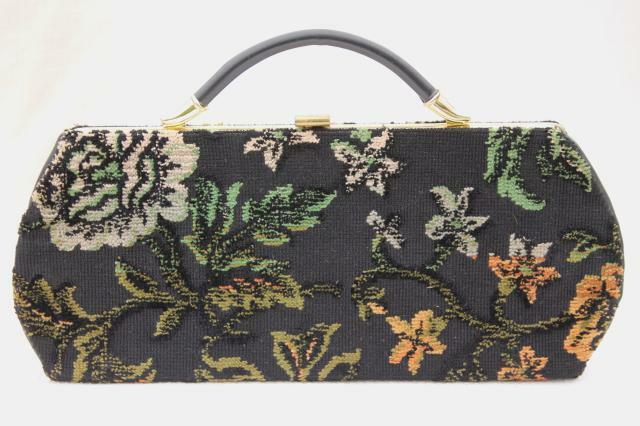 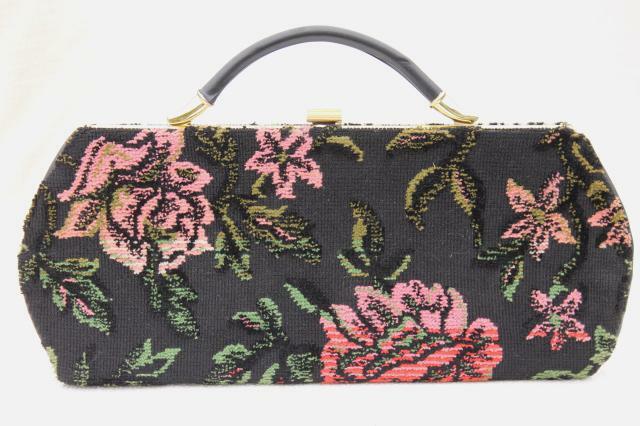 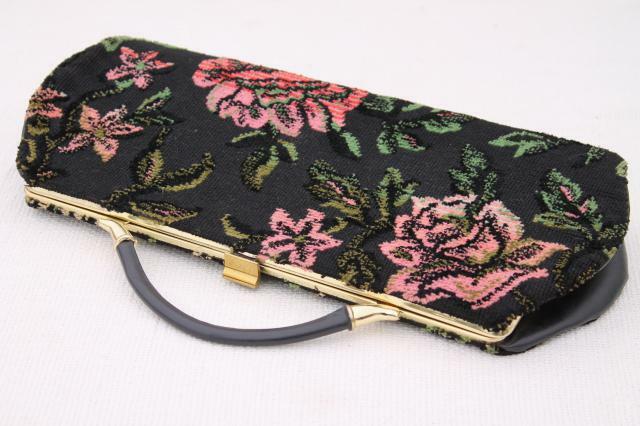 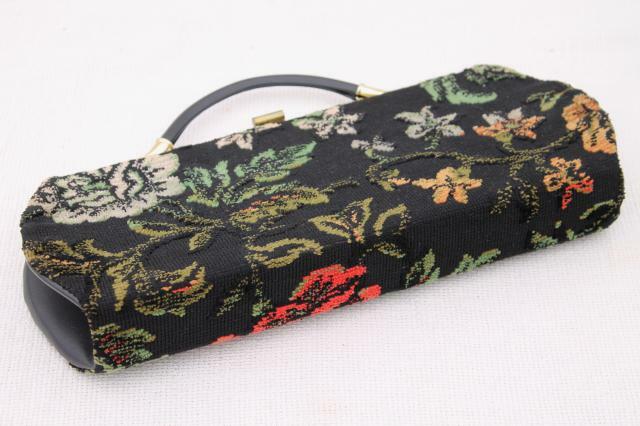 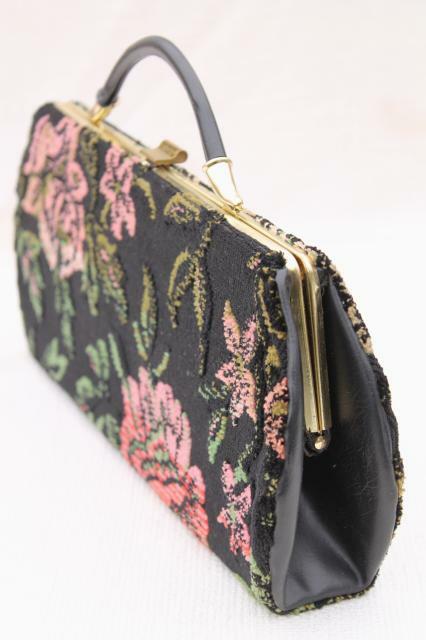 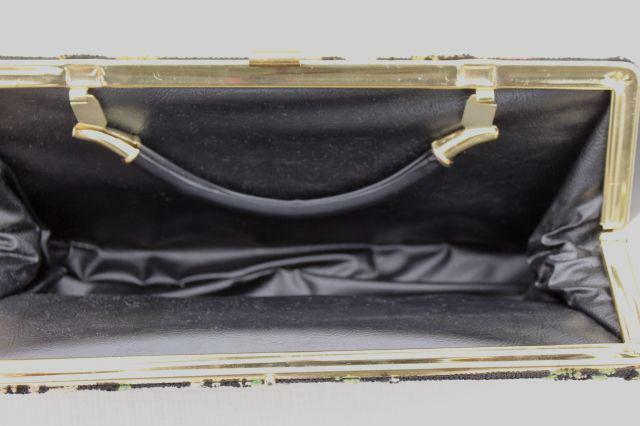 Little black handbag / clutch for day or evening - this has a handle fixed upright, but is sized like a clutch purse, and is nearly flat. 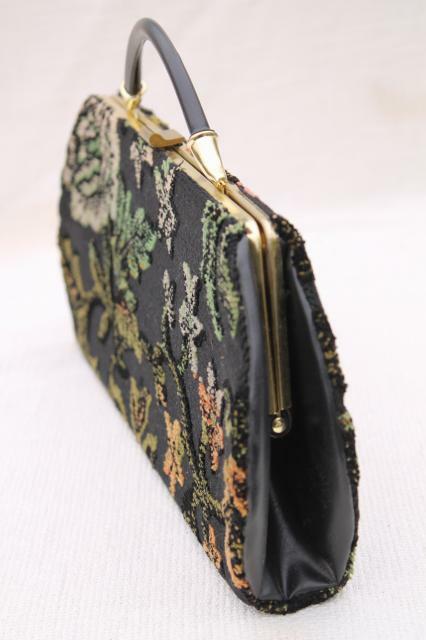 It's about 13 1/2" x 5 3/4" over the bag, firmly structured, holds its shape. 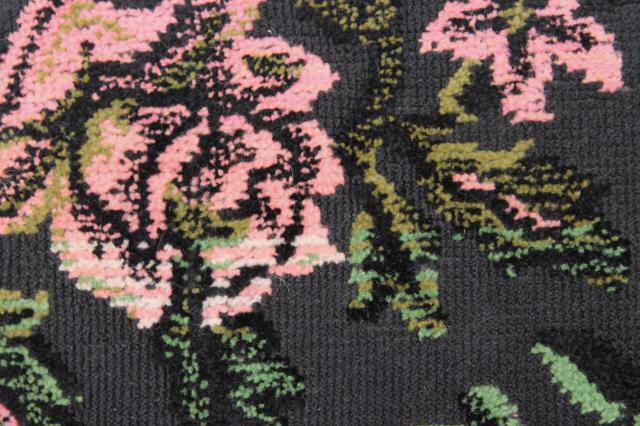 It's clean and nice inside and out, and we love the carpetbag type tapestry fabric with the plush pink roses!